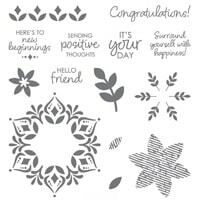 November 30th, 2018 is the last Last Chance on Snowflake Showcase Products! If you haven’t seen the beautiful products included in the showcase, scroll through. I did create 3 cards using the products and all are featured on my website. Here are three cards I created using the Snow is Glistening Stamp Set with the Snowfall Thinlits. I love those thinlits! There are so many included and they even made doubles of a few! WOO HOO!!!! It saves time when there are multiples of little snowflakes. Click on each picture and it will bring you to the individual post of each card. 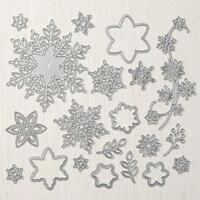 Be sure to head to my online store TODAY to purchase any of the remaining product in the Snowflake Showcase. After November 30th the product is being retired. 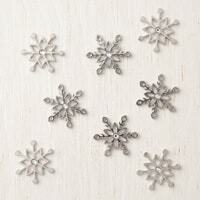 The pretty Snowflake Trinkets look adorable on many projects that I think I need a few more to have on hand. 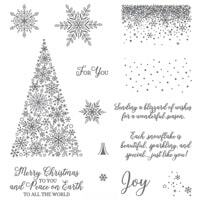 If you order one of the two Stamp Sets (Snow is Glistening or Happiness Surrounds) AND the Snowfall Thinlits by 10PM EST on 11/30/18 through me, I will order the Snowflake Trinkets as a thank you! If they are not available, I will select something of equal value. Tomorrow is December 1st and I have more holiday cards to share.